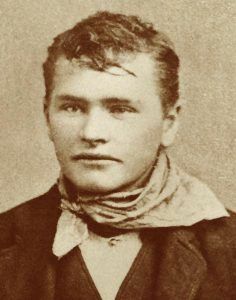 Willard Erastus Christianson, who was also known as Matt Warner, Ras Lewis, and the Morman Kid, was both an outlaw and a lawman who operated primarily in Utah and Washington. Christianson was born in Ephraim, Utah in 1864 to a Swedish father and a German mother who had come to Utah as converts to the Mormon Church. Though his start was good, he got into a fight when he was 14 years old, and fearing he had beaten the other boy to death, he ran away. He soon joined up with a band of rustlers to begin his life as an outlaw. It was at this time that he began going by the name of Matt Warner. 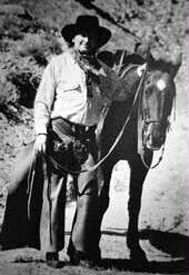 Somewhere along the line, he got married to a girl named Rose Morgan and the two ran a cattle ranch in Big Bend, Washington before returning with his wife and a daughter to Utah. 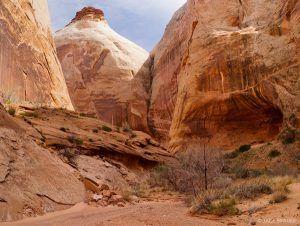 He then hooked up with his brother-in-law, outlaw Tom McCarty, operating in the Robbers Roost area of Southeastern Utah. In no time, Warner was robbing banks and trains with the likes of Elza Lay and Butch Cassidy. He then got into a shootout in Utah in 1896, that earned him five years in the Utah State Prison. Though he received an early release for good behavior, his wife died during his incarceration. In 1892, Christianson, along with Bill and Tom McCarty robbed a bank in Roslyn, Washington and when bystanders attempted to stop them, two men were shot and wounded. Later that year, Christianson was apprehended and ailed in Ellensburg, Washington for the bank robbery. However, he escaped two days before his trial. In 1897, in the Uinta Mountains of Northern Utah, Christianson was involved in a gunfight where two men were killed. He was later convicted of manslaughter for this incident. At some point, he remarried and settled in Carbon County, Utah. Warner ran for public office under his real name, Willard Erastus Christianson, and lost. He then had his name officially changed to Matt Warner, the name most people knew him by, and was elected justice of the peace and then served as a deputy sheriff. Later he worked as a night guard and detective in Price, Utah. At other times in his life, he worked as a farmer, cowboy, rancher, ferryman, and bootlegger. He died a natural death on December 21, 1938, at the age of 74.